Our Beach Clubs in Greece enjoy fantastic beach front positions in beautiful surroundings, so we more than anyone understand the importance of location. 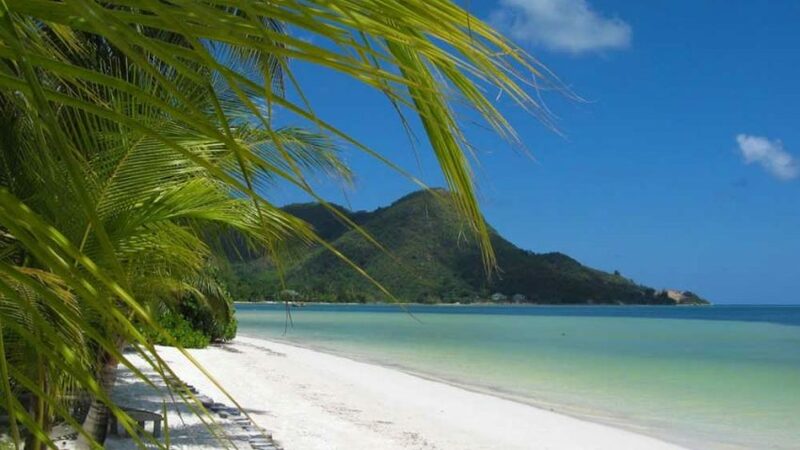 Nikiana Beach Club has proved popular, especially with our regular clients, thanks to the friendly atmosphere and its idyllic position in a beautiful beach front setting. 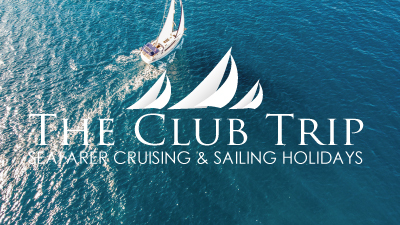 Our clubs offer a great range of Sailing Dinghies to suit all ages and experience levels along with Windsurf Equipment, Kayaks, SUPs and a Day Yacht for day trips and training. 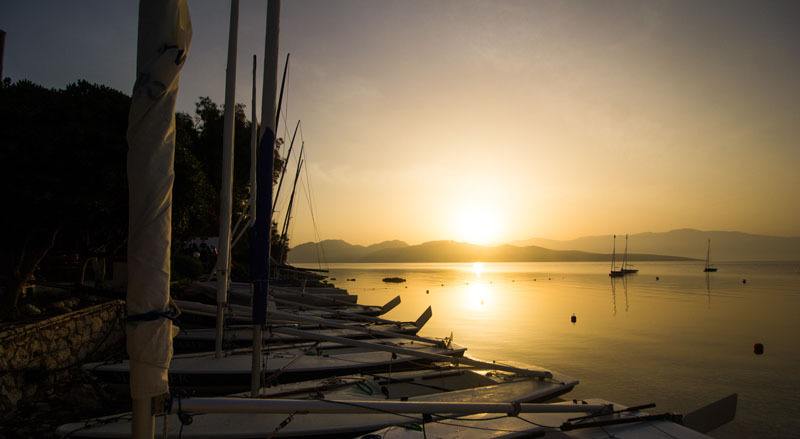 Nikiana Beach Club is an RYA Training Centre and we offer a huge range of courses for Dinghies, Multihulls, Windsurf and Yachting. Nikiana Beach Club scored the highest ratings amongst our clients last summer and our formula of smaller, friendly and welcoming ‘taverna style’ clubs like this has certainly won us many regular guests. Located in the village of Nikiana on the island of Lefkas (Lefkada), this small and perfectly formed beach front complex has 32 rooms, a fresh water swimming pool and a very good family run taverna in a quiet location with stunning scenery. The beach is sand and shingle and it’s a simple, traditional style property where many of the rooms have either full or partial sea view. Accommodation is generally on a bed & breakfast basis although new for 2019 were offering a Club Board Package. 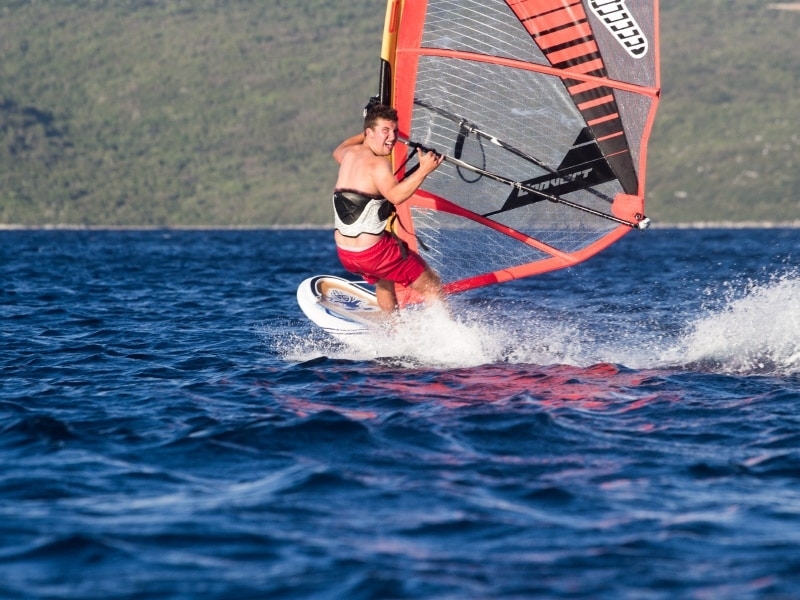 Unlimited Sailing, Windsurfing and other watersports is included at our excellent beach setup with lovely conditions and experienced instructors. 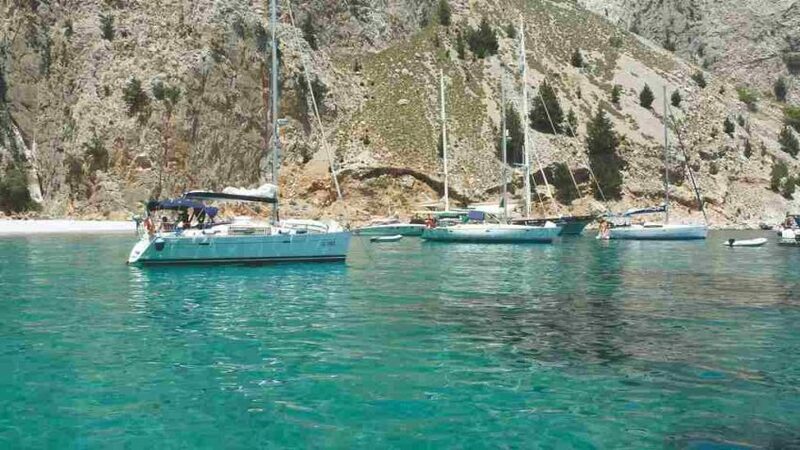 Nikiana is located on the east coast of the delightful island of Lefkas combining the charm of an island with the convenience of being connected to the mainland by a causway. Nikiana itself lies a few kilometres south of the capital, Lefkas Town which is well worth exploring, with countless tavernas restaurants and cafes on the sea front and tucked amongst the labyrinth of alleyways that form the old town.. To the south of Nikiana is the lively resort of Nidri, with bustling seafront from which day boats offer a variety of excursions to the nearby islands such as Meganissi. Lefkas itself is well worth exploring by hire car with enchanting mountain villages and the stunning west coast beaches against a dramatic mountain backdrop. 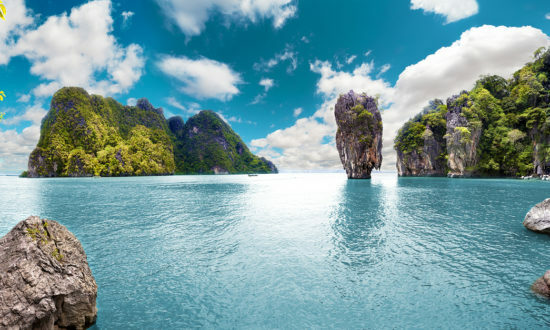 Reliable sunshine is virtually guaranteed during the season between early May and late October, with temperatures ranging from the low 20s in early and late season up to the high 30s in late June through August. 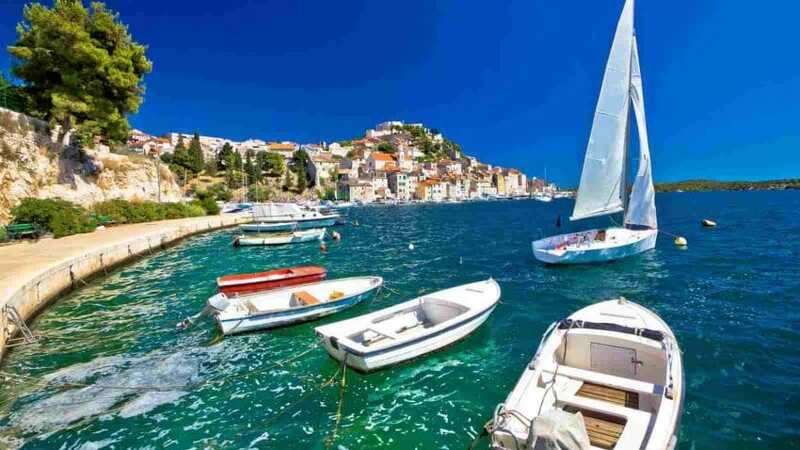 Sunday morning & afternoon charter flights from Gatwick to Preveza with afternoon & evening return. Flight Time 3 hrs. 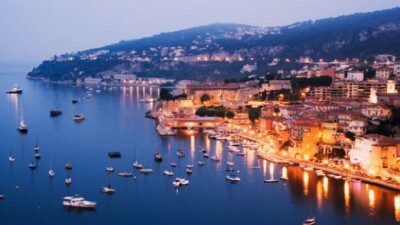 Regional charter flights from Manchester, Bristol and Birmingham available on request. Direct road transfer to from Preveza Airport takes between 30 & 40 minutes and is available on a private or shared basis. Nikiana Beach Club occupies an idyllic setting along a short single track road, just two minutes walk from the village centre and built around a courtyard, only yards from the long sand and shingle beach, shaded by olive trees. 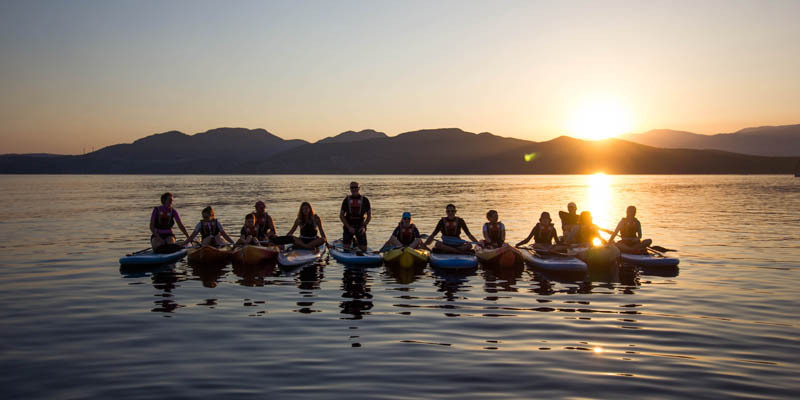 The setting is truly idyllic with a stunning mountain backdrop, the mountains of the mainland, as well as the islands of Meganisi, Kalymnos and Sparti clearly visible across the inland sea. Most of the rooms overlook the beach and the fresh water swimming pool which is directly adjacent to the beach bar and taverna. 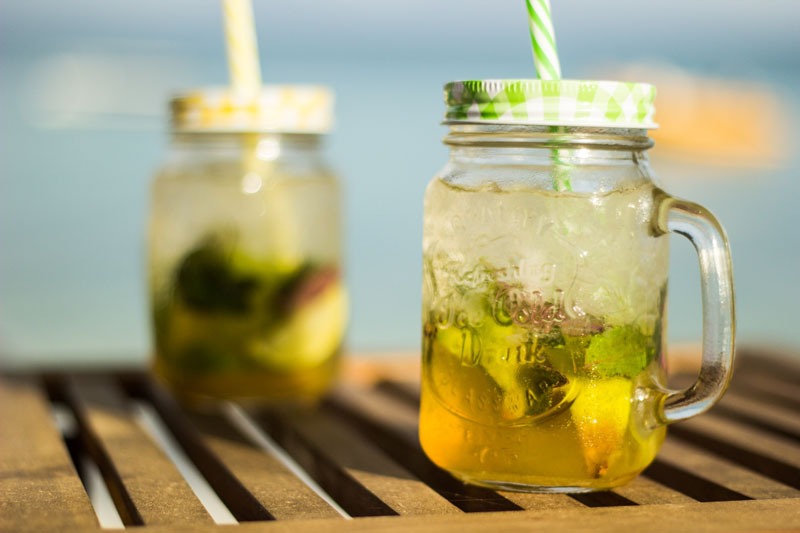 The taverna and bar are perfectly positioned on a shaded terrace directly overlooking the beach and beautiful Nikiana Bay. 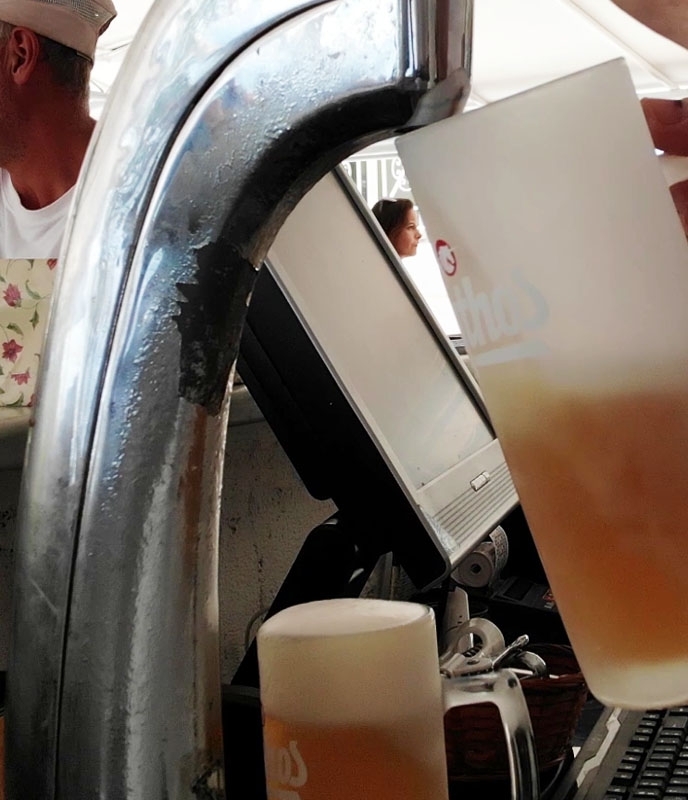 The pool bar, which is open all day, serves refreshing cocktails, juices, soft drinks and ice creams. The excellent taverna has proved very popular with our guests. It is run by the friendly owners with a varied a la carte menu and is well known for the excellent Greek home cooking, as well as the good choice of snacks and grills, all at good value prices . The hotel’s 32 rooms are located in four houses, Aeolus, Thalassa, Simos & Maria, all set around a central courtyard with many rooms enjoying cracking sea views. Most of the rooms have a double and single bed although there are a number of family, twins and doubles available. For your comfort, all rooms have air conditioning, refrigerator plus en suite shower and WC. Most rooms have been refurbished recently and feature a TV & kettle. We take a lot of pride in the Beach Operation at Nikiana and we are often rewarded with big smiles from people coming off the water. The beach is generally open from 9.oo for Kayaks & SUPs and 9.30 for Sailing & Windsurfing. During off-peak weeks we generally close for an hour for lunch and we finish the day around 18.00 depending on the wind. All the equipment is free to use during these times and we will try to find the best option for all abilities. We also run a number of free tuition options including clinics, intros and regattas and a great list of RYA Courses. Below is the equipment list for the 2019 season. For more information on each boat etc see the sliders below. These number might change slightly throughout the season. 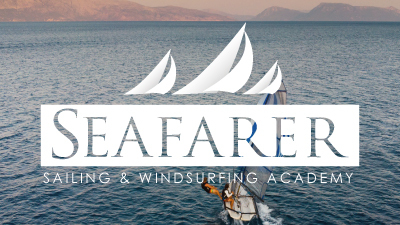 Seafarer Training Nikiana offers a great range of RYA Sailing, Windsurfing & Powerboating courses in every week of the season. 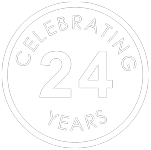 The courses are all run over 4 half days (yachting courses will be 2 full days) and are a combination of theory and practical training. Assessment is continuous during the course. 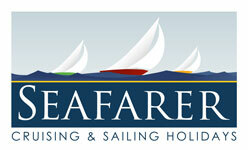 For more details on each course listed please see our learn to sail page. If you want some tips for what course you should be doing give us a call. 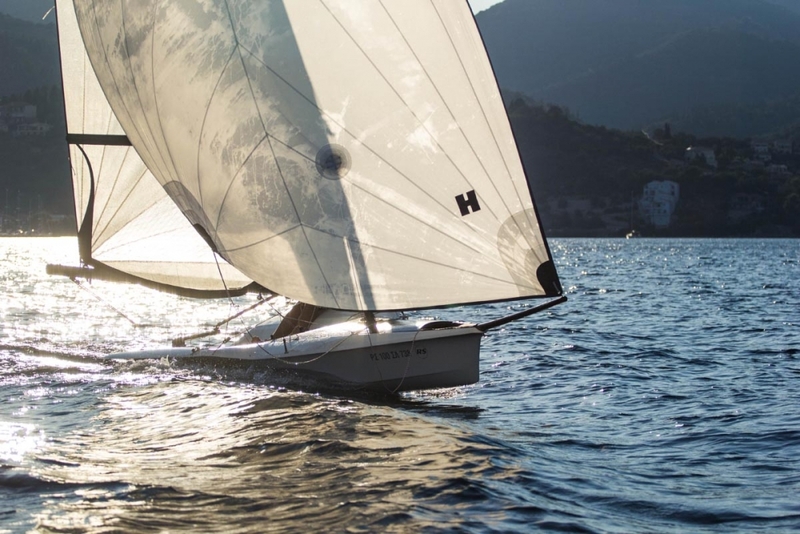 Our most advanced sailing dinghy, a double handed planning skiff with main sail, jib, asymmetric spinnaker and double trapeze, this boat delivers the ultimate thrill. With a carbon mast and boom, this boat excels in every way, and is great for taking trapeze and spinnaker use to the next level. Again, we can provide joy rides with our experienced instructors for all those wanting high speeds, lots of spray and a sail of a lifetime! Taking up to 5 people, this is a great, versatile sailing dinghy. With main sail, furling jib and spinnaker . A great family boat, with a spacious cockpit and raised boom, this gives plenty of room to manoeuvre. Due to its stability its used by our instructors for learn to sail RYA courses. Easy to right, and simple controls this boat is great for beginner and intermediate sailors. An ideal beginner boat which is fun, durable and easily reefed in higher winds. Taking up to 3 children, or two adults this boat is great for those first solo sails, and are used within our RYA Level 1 courses. With removable jibs, and toe straps, these boats are great for progressing through the early stages of sailing. The AltO is a fast, two-person, single trapeze asymmetric dinghy suitable for intermediate to advanced sailors. 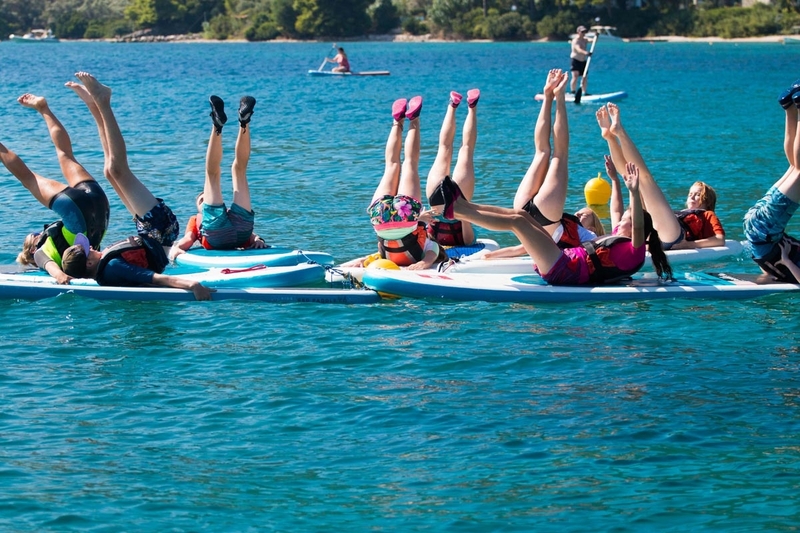 It is exciting and challenging, yet highly controllable and an ideal boat for learning how to trapeze. 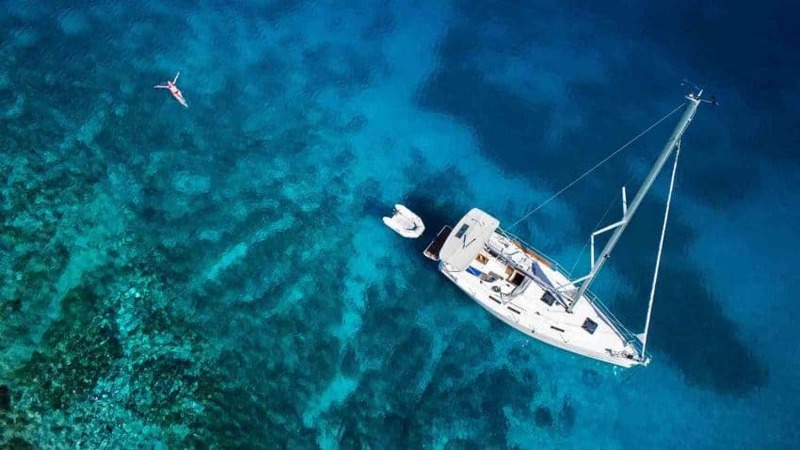 With its swinging pole, the AltO offers the ultimate in downwind options – sail high and plane in stronger winds or swing the pole and sail deep in lighter airs. A mini catamaran for anyone and everyone! 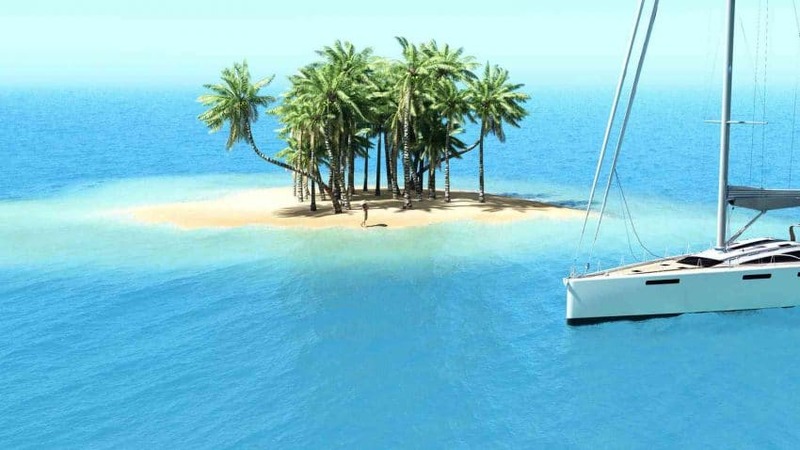 Ideal for those who have never sailed before, and a lot of fun for those who have. Stable and easy to sail, you can’t go wrong. Taking up to two people, these can almost sail themselves. 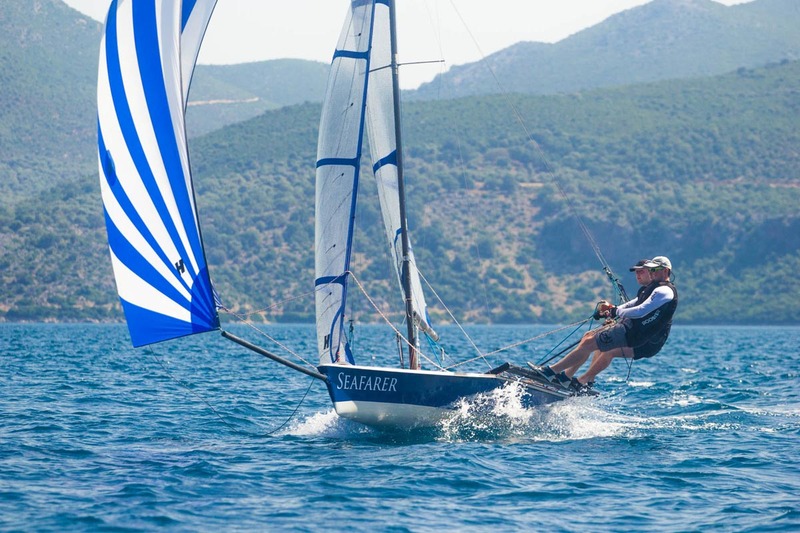 Among one of the most popular single-handed dinghies, the Laser is an Olympic class boat and is raced throughout UK sailing clubs. 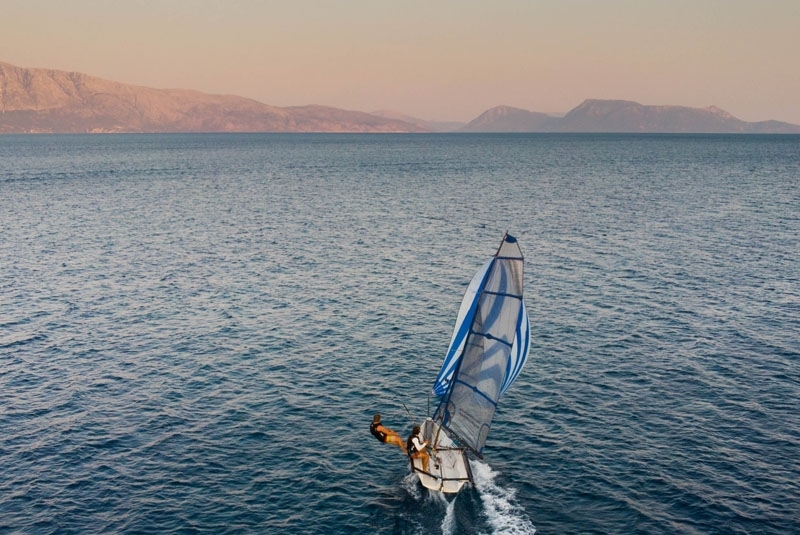 With simple rigging and choice of rigs this boat provides a fast, exciting sail and is great for practising race technique and skills. A very popular boat with our guests wanting to improve their single handed sailing and progress to or improve their club racing. 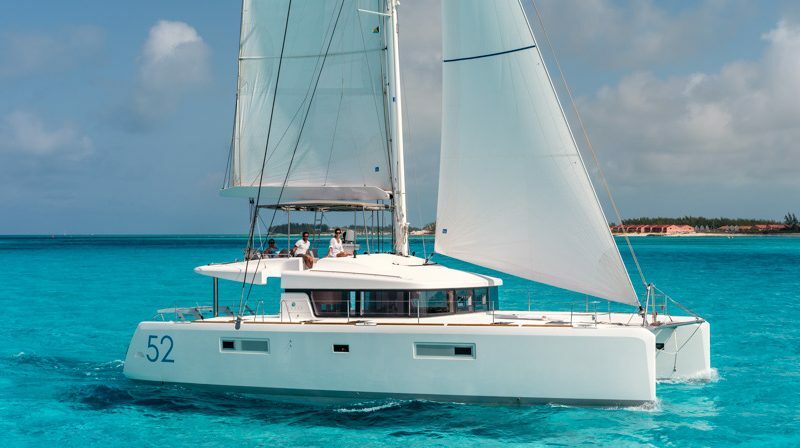 An exciting catamaran providing a forgiving and stable ride, with main sail and furling jib this boat is a favourite for both adults and our younger guests at our resorts for its speed and simple controls. Holding up to three sailors, this catamaran is great for introducing beginners to trapezing, but can also be a great challenge in high wind for those intermediate to advanced sailors. 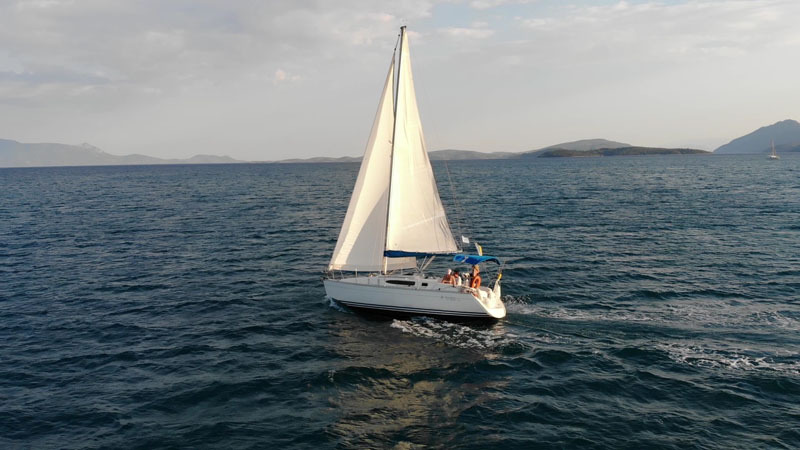 This boat provides high performance planing skiff sailing for two people, with a fully battened main sail, jib, asymmetric spinnaker, and single trapeze. 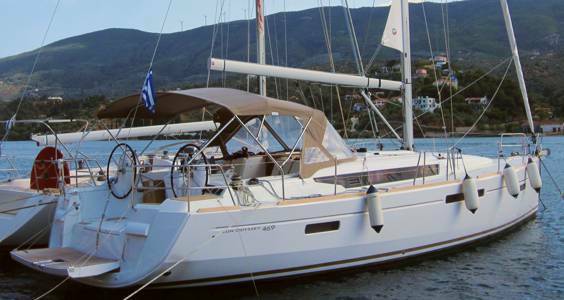 This boat is suitable for advanced sailors looking for an exhilarating sail. This boat will plane in a force 3, but is at its optimum in a force 4 to 5 in which both crew and helm will take advantage of the rack system and trapeze. The best way to describe the RS 400 is supremly well behaved, beautiful to sail and yet fast and exciting when you want it. The 400 is a 2 person hiking dinghy with an Assymetric and is a great next step from the 2000 or Bahia. 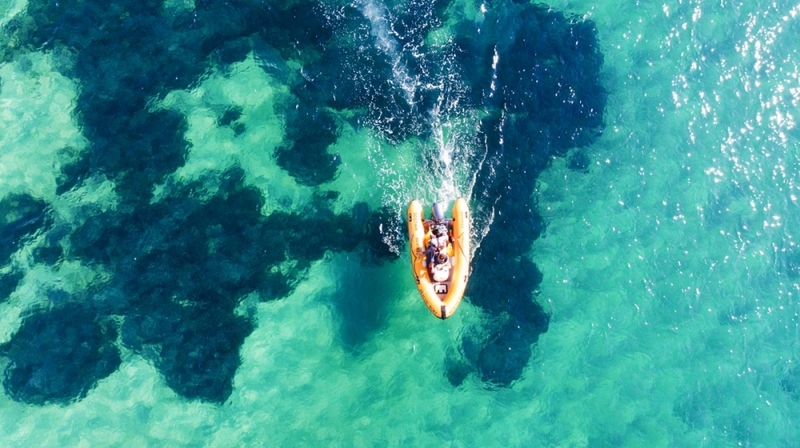 The 2000 is a classic intermediate doublehanded dinghy which is the perfect size for two people although it can be sailed by 3 or indeed alone. 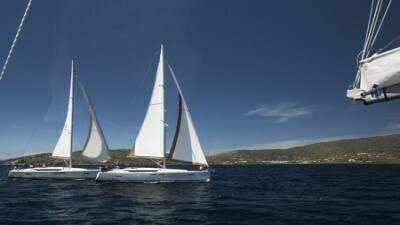 The boat features a spinnker and optional trapeze but has a modest sail area and is very forgiving. The RS 100 is a singlehanded performance boat with spinnaker. The hull is increadably light so it will get up and plane at the least provecation. Good next step for experienced laser sailors. The super stable Alpha is the perfect way to introduce kids to sailing with its small rig and easy controls. Suitable for children aged 6 to 12. Really fun and accessible board for windy conditions with single or twin back strap options. Suits sails up to 7.5m with twin back strap or 6m with single back strap. We have Techno's to suit all abilities with 160L boards with daggerboard for early intermediates through 148L to 133L for those learning to blast in the straps. Starboard Rio's are a great beginner or early intermediate board with two sizes. Rio larges are great for larger beginners whereas Rio Mediums make a great second board for for those moving on from a Rio L, Motion or Windsup. Combination of Tushingham Start and Tiki Trainers these sails are perfect for starting windsurfing. Advanced – Childrens aged 10 to 17 who are already confident sailors looking to improve their skills and try new boats and skills. 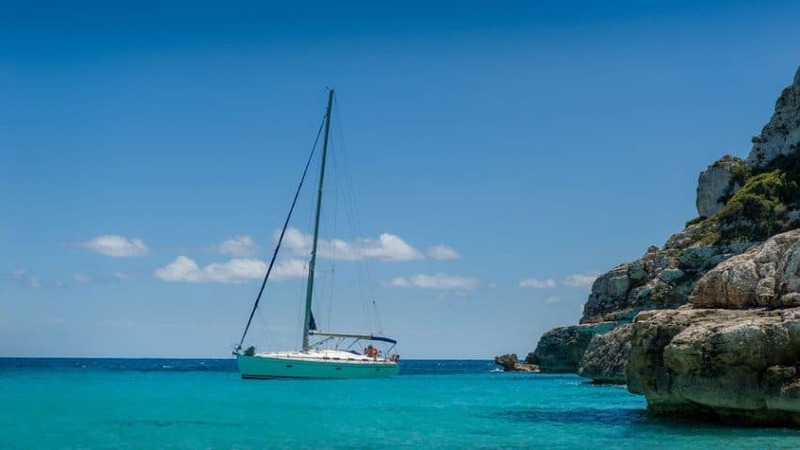 Nikiana is surrounded by many wonderful islands and fishing villages within an easy days sail from the club and our Jeaneau 32.2 Club Yacht “Asterix” is the perfect way to see them. 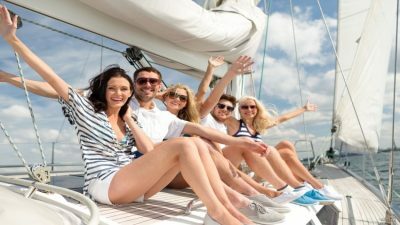 The yacht has a skipper on board and can be hired for a full or half day, privately or per person. Alternatively why not come along on a Sunset Cruise and enjoy a nice glass of fizz while watching the sun set over the island. 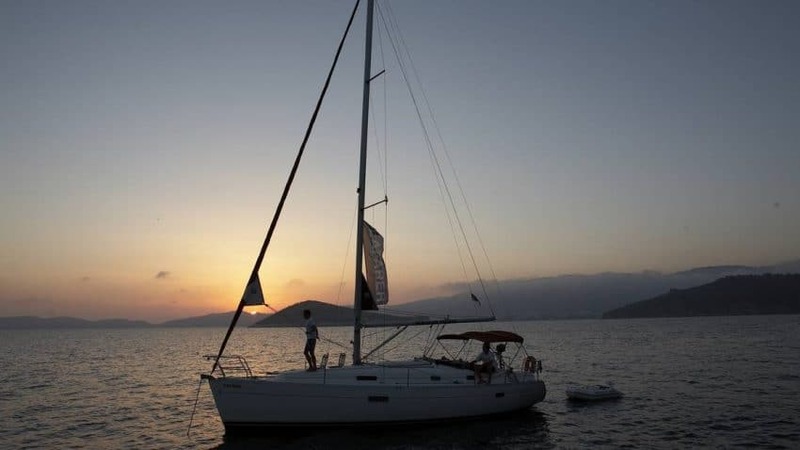 We run numerous different training courses aboard Asterix either for those just starting yacht sailing or those want an refresher or improvers course. 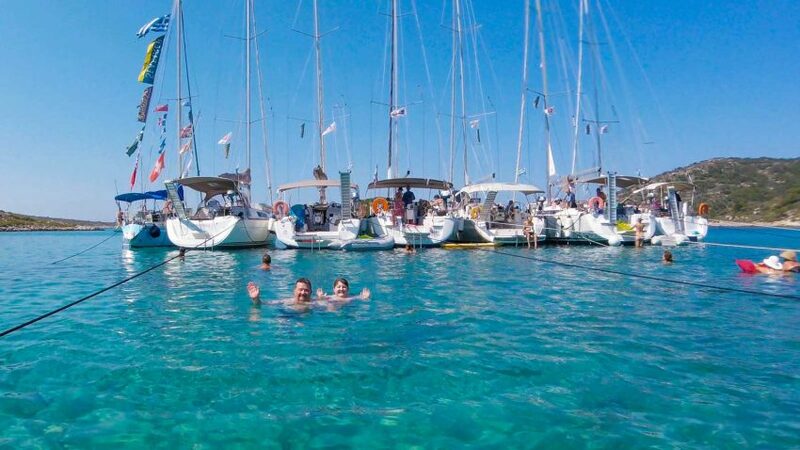 Especially popular is the two day pre-flotilla course which is designed for those who are already experienced but want to brush up on the skills needed for flotilla or bareboat sailing in the Ionian. 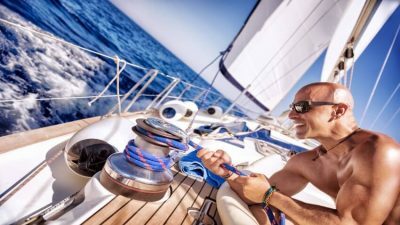 For experienced yacht sailors who need a qualification to charter a yacht we also run ICC Sail Cruising Assessments. We’ve partnered with Get Active, a small company run by Simon & Lucy who offer guided Hiking & Mountain Biking Tours for all levels. Rides are scheduled throughout the week and include an uplift mountain bike trip if you don’t want to pedal uphill. They also rent road bikes and run hiking tours all over the island. Check out their website for more details. 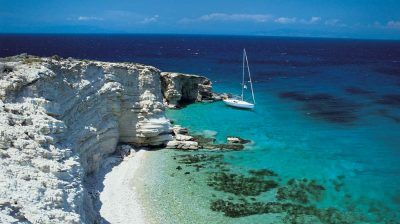 Both the island of Lefkas and the surrounding islands are great for exploring whether by boat or by car. We have a car hire place 100m from the Beach Club and boat hire in the port of Nikiana. If your after something more relaxed there are excellent massages available within a stones throw of the Beach Club from the wonderful Giota. 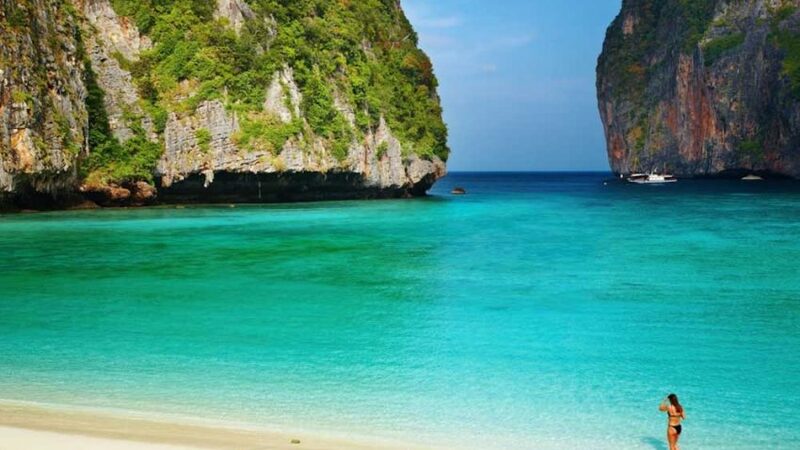 Nikiana Beach Club - Flights & Transfers Inc. Note that 3rd person price applies when booking a room with an extra bed. 4th person price applies to family room bookings only. Do I need a visa for my holiday in Greece? No, a tourist visa is not required for entry to Greece. Obviously this will depend on what your plans are, but generally you can expect to pay around 15-20 Euros per person for an evening meal. Although some places take card, it is good practice to have enough cash with you to cover any bill. Cash points are available on the main street. The Beach Club Taverna takes cards and you can also place any items on your room and pay at the end. Do I need to buy everything at the club? No. You have a fridge in your room as well as tea and coffee making facilities. You are welcome to buy suppliers from the local supermarkets to store in your fridge during your holiday. 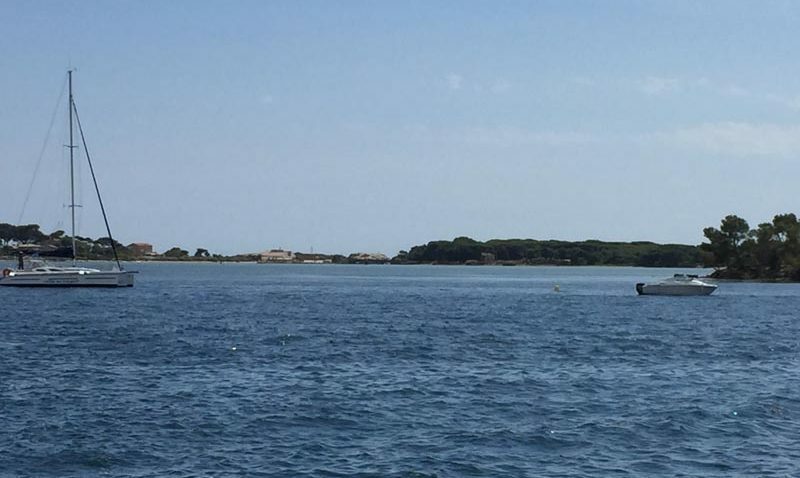 Do I need a sailing license? 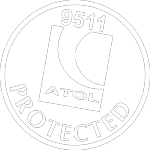 No, our club welcomes sailors of all abilites, from complete novices to racers, and everyone inbetween. 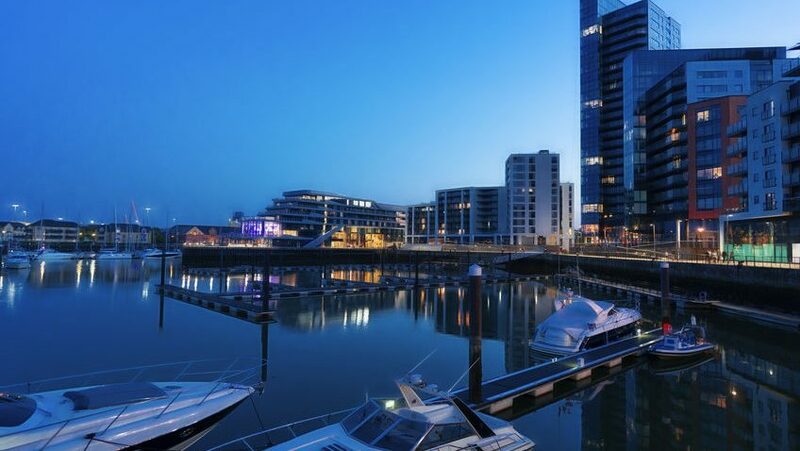 As an RYA Training Centre, you will have the opportunity to gain your first or additional RYA qualifications during your holiday. Yes, clinics, kids clubs and end of week regattas are all free of charge and available to everybody. Is there Wifi at the club? Yes, free Wifi is available in the taverna. Do I have to eat at the club taverna? The Taverna in the club is a firm favourite with Greek locals, which is a great endorsement. You are, however, under no obligation to eat there and the village of Nikiana has many alternatives as well as the main town of Lefkas and the lively Nidri, both a short taxi or bus ride away. 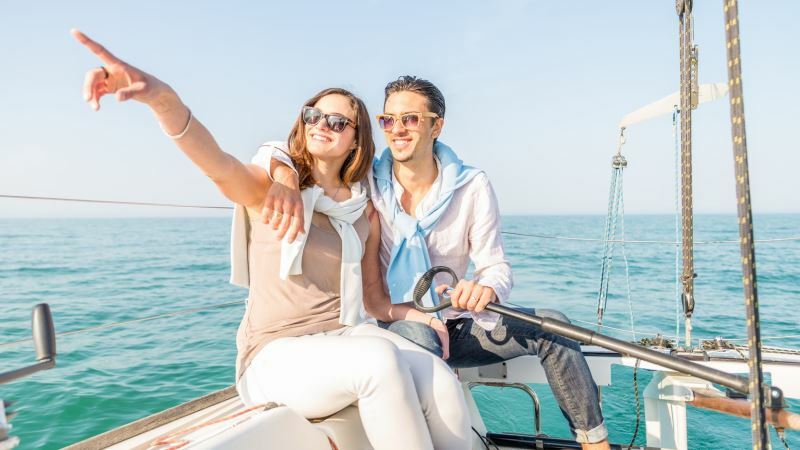 Should I pre-book RYA training or yacht cruises? For the months of July & August we would recommend booking as the demand is extremely high. Throughout May, June and September booking in resort is fine. Generally the prevailing wind is from the North and the strength ranges from force 2 to force 5. Light breezes in the morning are great for beginners and those familiarising themselves with new kit, with good cross-shore breezes in the afternoon to keep everyone entertained. 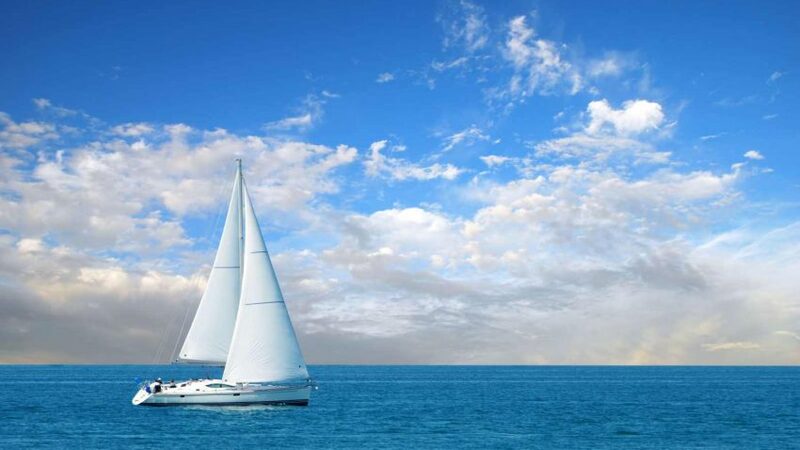 Can I always sail, regardless of wind strength? Our experienced beach club team are always on hand to ensure the safety of all of our guests at all times. This may occassionally mean that they deem it necessary to close the beach if the wind strength dictates this. 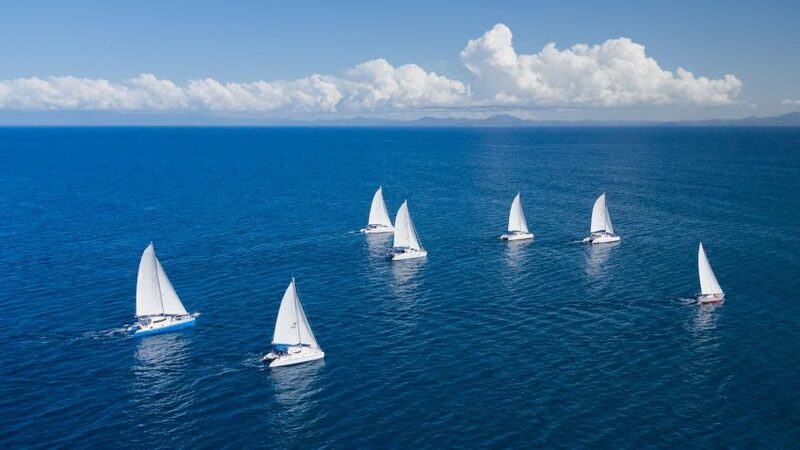 They will always try to organise other fun activities, including joy rides on the larger dinghies and multihulls should this be appropriate. No, use of all equipment is available during your holiday for free. 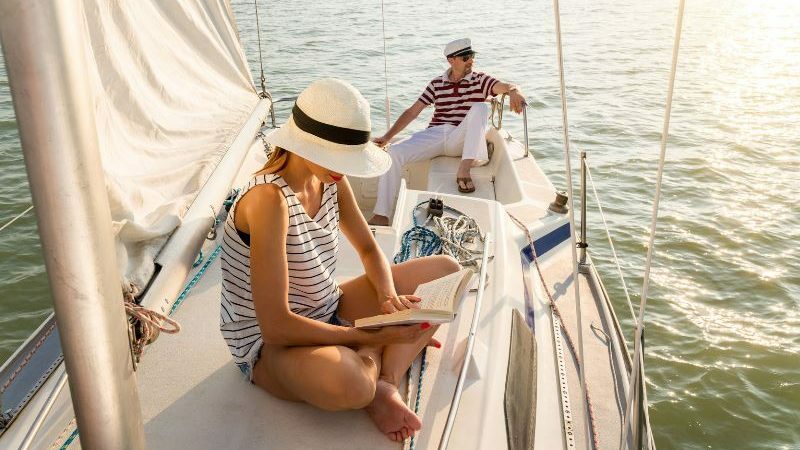 There is a charge for RYA Courses, Private Lessons, Yacht Trips and some other activities. Yes within reason. 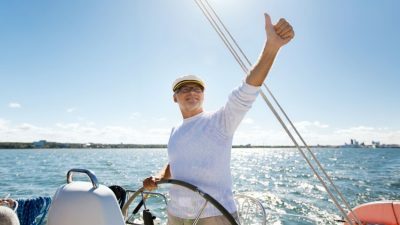 Should you wish to sail a dinghy that you are unfamiliar with such as a Skiff or Multihull we will provide you with a familiarisation and joyride courtesy of Seafarer to get you going. This is obviously subject to possessing the relevant experience levels.